Pre-Victorian Victoria Park… Whatever could that have been like? Well, for starters, obviously the park hadn’t been thought of yet. But north-west of the land where the park is now lay a hamlet whose development would eventually bring us to the South Hackney we know today. 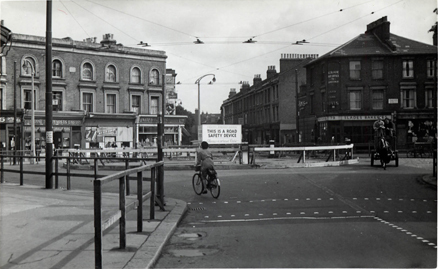 The settlement was situated around the junction where Grove Street, which would later be renamed Lauriston Road, met the ‘footpath’ that is now Victoria Park Road. Records show that in 1672 there were just sixteen properties on Grove Street with the official status of having been assessed for hearth tax. The largest, with eighteen hearths, was that of a Mr Henry Monger, who along with the Norris family owned much of the land. A hundred years later there were only a few more buildings around Grove Street, one of which was the Three Colts inn just beyond the hamlet’s southern boundary. If you’d found yourself in the area back in 1788, you might have seen the Jewish burial ground being built on what was then Grove Street. And by 1821 there were a few more cottages around, bringing the total number of households in the hamlet to 38. The creation of Victoria Park in 1845 led to the construction of Victoria Park Road, and it was from then the area began to take substantial shape. So, what would your life have been like if you’d lived in the area under Queen Victoria? You’d probably have been quite affluent, and possibly Jewish. And you would have doubtless taken a morning stroll in the new park that had opened to the public fifteen years earlier. In 1865, you may have been one of the many who admired the fashionable, Gothic-style French hospital on Grove Street, built to replace the 1718 building in St Luke’s parish in Finsbury. It could be that you knew some of its residents, for they were encouraged to make themselves useful in the community. The facility continued to provide care for “poor French Protestants” – the Huguenots – until 1934, and later became a school. Did you ever visit the tabernacle just east of the Jewish burial ground on Wetherell Road? If you’d been there in August 1876 you might have seen Josiah Henson address a bursting congregation of 2,000 – or perhaps you were one of the unlucky punters who couldn’t get in. Maryland-born Henson had been born into the slave trade and sold three times before he was eighteen, but then escaped and become an author and abolitionist. No wonder so many folk wanted to hear what he had to say. As Victoria’s Jubilee approached in 1887, you may have heard that twelve weaveresses from the French hospital were busy making a black silk dress, which they would later present to the Queen to mark her 50 years as our monarch. At the turn of the century, evidence suggests the area was quite well-to-do and smart, with a piano shop and a home where women went to give birth. Victoria Park Lido opened on the edge of Grove Road in 1932, at around the same time as its cousin in London Fields. It had space for over a thousand bathers and symmetrical wings of changing rooms, and was designed so that no shadow was ever cast onto the water. What’s more, you could get in for free three days a week! The lido, badly damaged during the Second World War, reopened in 1952 after extensive repairs. On one occasion during the scorching summer of 1976, the doors were closed due to overcrowding but the queuing crowd simply smashed their way in – causing so much damage that the pool was closed for two days for repairs. Linden recalled the shops that have come and gone on Victoria Park Road – the “tall blonde twins” ran the greengrocers and Marinos, the 1930s-style cafe with its tiled and chrome interior and polished fascia. The little old-fashioned grocers where the gallery is, and the bakery on the corner, Shepherds – now Loafing cake shop. Caroline Bousfield Gregory also moved to the area in the 1970s and remembers sending her two daughters on their first lone shopping trips to AH Davis, the hardware store on the corner of Victoria Park Road where Sovereign Estates is today. “It was only ten yards away so they could go by themselves. It was a lovely shop,” said Caroline, who lives on Lauriston Road. “Everything got dusted as it was taken off the shelf, and he had a huge trapdoor down to the cellar,” she remembered. Today, the interior of Davis’s as it was in the 1930s can be seen at the Age Exchange in Blackheath, where it was transported to be used to assist reminiscence workshops. Caroline remembers the curiosity – and at times disapproval – of her new neighbours when she converted one of the four stables around the old tram turn into a pottery workshop. “One chap stopped Gordon and said he thought it would be much better as a fishing tackle shop,” she laughed. But, unsurprisingly for an inner-city hub, Victoria Park also saw some less rosy times. Linden remembers the area was something of an overspill from the Kray brothers’ organised crime network, which brought turf wars to the streets of South Hackney. She remembers hearing about a gang shooting in one of the pubs, and that The Alex was a “drug pub” for a time. During these less savoury times, many families – if they had the money – moved further east to areas such as Romford and Harold Hill with the hope of getting their children into better schools. One by one, the regular food shops began to close. 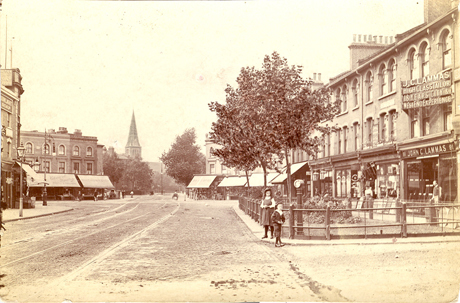 Early this century residents took matters into their own hands and formed the Victoria Park Traders Association which helped bring back the full range of shops, including a greengrocer and a deli. Many of today’s businesses are owner-run, with their owners living above their shops or close by, which contributes to the community atmosphere. Developments at the nearby Canary Wharf and improved bus routes have meant the area has attracted more prosperous new residents once again. 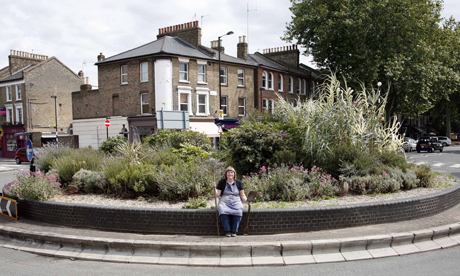 Linden describes the Victoria Park of 2010 as ‘chichi’, and seems happy with the way things have panned out for the hamlet at the junction of Grove Street and the Hackney Wick footpath – the only downfall being that her offspring cannot afford to buy property there themselves.